The magnificent town of Edipsos (Aidipsos) is located in the north west of the island of Evia and is one of the most famous tourist resorts of Greece. The area of Edipsos consists of three settlements, the the coastal town of Edipsos Loutra, the green village of Edipsos full of trees and natural beauty, and the seaside village of Agios Nikolaos with its many beaches, tavernas and cafes which attracts a large number of tourists. 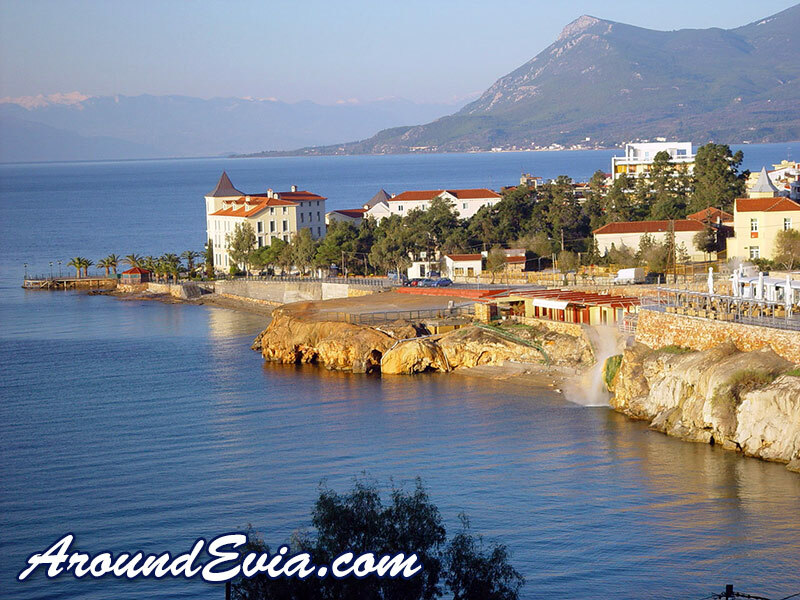 Edipsos is especially known for the Edipsos spa, forming the seaport of the city and attracts large numbers of visitors because of its curative properties of its spa waters. Loutra Edipsos is 110 km from the capital town of Chalkida and features many modern hydrotherapy facilities. The spring waters of Edipsos, which have been known since ancient times, make it the most famous spa town of Greece. The hot springs of Edipsos have a history of more than 2,000 years and have hosted numerous international celebrities such as Aristotle Onassis, Maria Callas, Churchill and many others. Apart from its spa healing properties the area offers many natural beauties, magnificent sandy beaches and interesting tours to the mountain of Telethrio. At the north of Loutra Edipsos is the village of Edipsos, a traditional village with picturesque alleys, trees and a lovely square. The entire region has a remarkable tourist infrastructure with numerous tourist hotel accommodation for your stay. 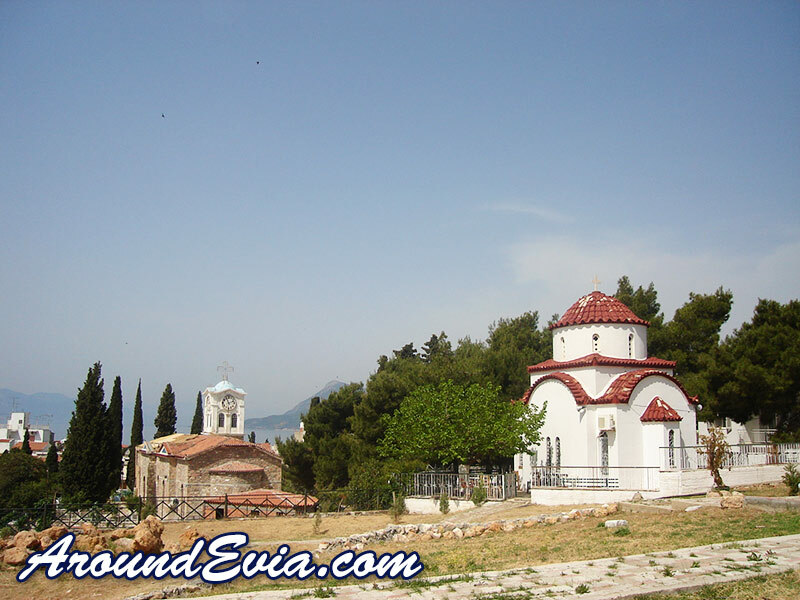 Some of the area attractions are the Monastery of Agios Georgios of Ilia, the Monastery Chrisovalandous, Lihadonisia and much more. Don't forget to visit the hotel complex "Thermae Sylla" which was constructed in 1896, and after its restoration, is characterised as a historical monument. It is a three storey building that operates as a luxury hotel and spa hydrotherapy. For swimming you can choose among the beaches of the Riviera, Agios Nikolaos, and Ilia or try a dip in the beach of the city of Edipsos with thermal waters. 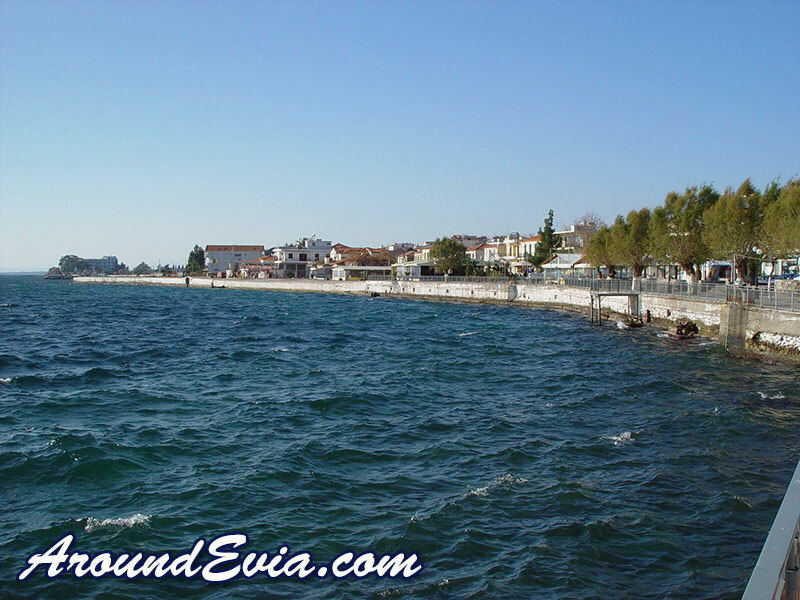 Edipsos has connections with the rest of the country through an excellent road network from within Evia but also via a frequent ferry boat service with the port of Arkitsa in the county of Fthiotida on the mainland. Please share your thoughts and comments about Edipsos. Below you will find details about various accommodation you can find in Edipsos. The listings below are in alphabetical order. For more information about any of the accommodation listings, simply click the button for more information. Istiaia Hotel operates throughout the year, and is perfectly located to offer you the best stay in Edipsos. As well as providing our guests with a charming selection of accommodation, offers also a range of spa therapies and treatments. The Hotel Spa Kentrikon is the ideal location for a relaxing and rejuvenating holiday. The newly renovated Hotel and Spa offers the perfect location for your summer holidays or your weekend break. The Omiros hotel is a new and charming boutique hotel, with a very special atmosphere and great care and attention paid to every detail, creating a comfortable and unique setting for our guests. Located in the town of Edipsos, just 30 meters from the beach is the popular "Alex Spa Hotel". Operating throughout the year, the hotel offers a wonderful selection of quality and comfortable accommodation and spa treatments for your holidays in Evia. Perfectly located in a prime position in Edipsos, our hotel offers all of the facilities that the modern traveller has come to expect, as well as a unique and hospitable service. 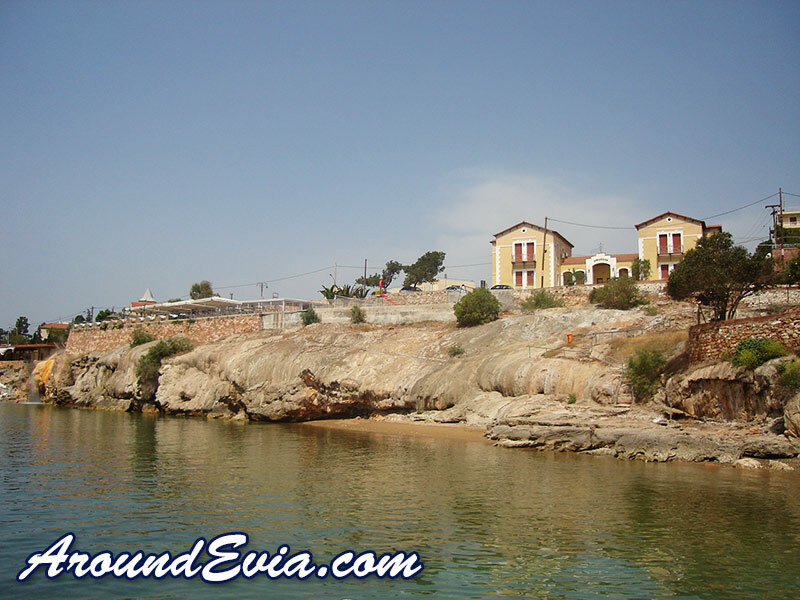 We do not currently have any restaurant or taverna listings for Edipsos - Evia. If you would like to find out how you can have your restaurant or taverna listed on this page, simply click here. We do not currently have any cafe or bar listings for Edipsos - Evia. If you would like to find out how you can have your cafe or bar listed on this page, simply click here. 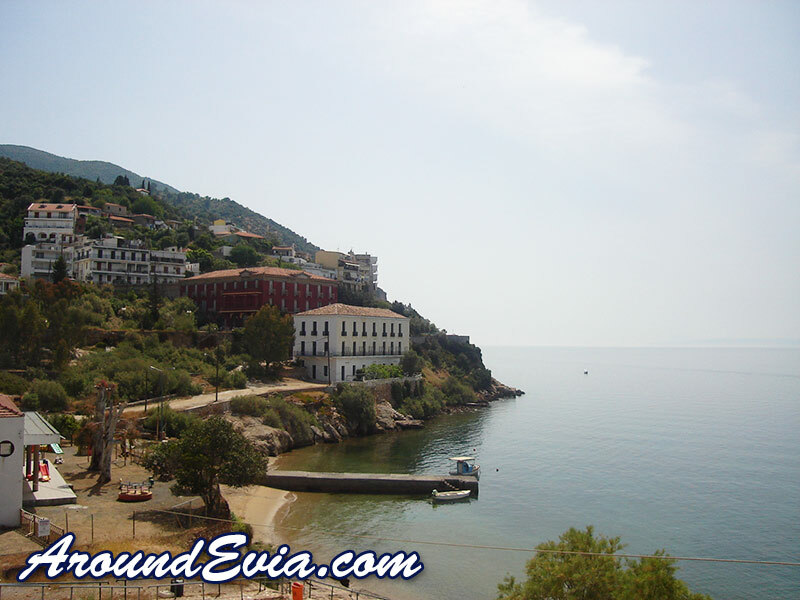 We do not currently have any local business or services listings for Edipsos - Evia. If you would like to find out how you can have your business or service listed on this page, simply click here.